Dr. Darrah became interested in dentistry when he needed dental work himself as an undergrad student at the University of Kentucky. He went on to study dentistry at The Ohio State University. After completing dental school and working at other offices, Dr. Darrah decided to open his own practice and offer his vision of quality dental care in a comfortable and professional setting. An Ohio native, Dr. Darrah’s family is the most important thing in his life. His wife, Jenny, and their one-year-old son, Walker, keep him busy with their many family adventures! 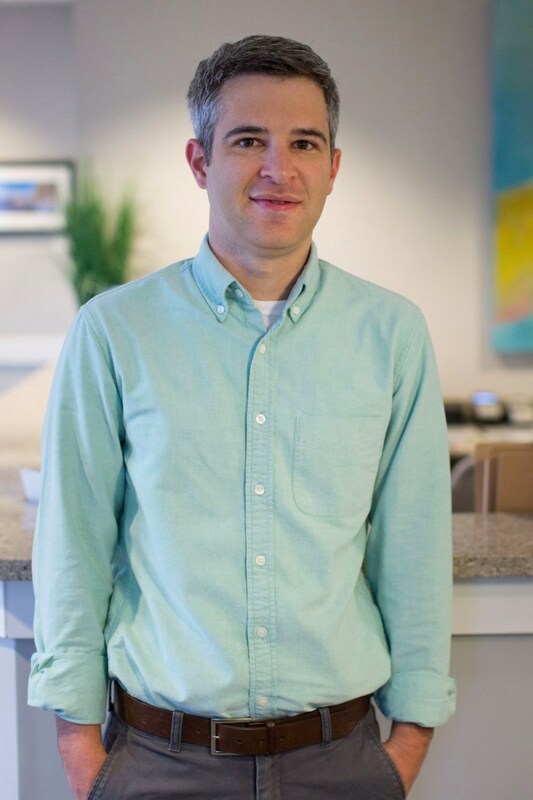 Outside of Buckwalter Dental Care, Dr. Darrah is an avid concert-goer and vinyl record collector. He supports his alma maters, The Ohio State University and University of Kentucky, especially in football and basketball. Dr. Darrah and his staff are top-notch. Everyone at Buckwalter Dental Care is helpful, knowledgeable and friendly. We hold ourselves to a high standard of thoughtful service, so we’re always quick to follow-up with any patient questions or concerns. We are detail-oriented and want our patients to know they are each unique and important to us. Laura has 11 years of experience working in dental offices, so you’re in good hands if she is your hygienist during your appointment. She loves to inform and educate patients to help them live healthy lives and maintain optimal dental health. Laura takes great pride in her job, and enjoys developing relationships with Buckwalter Dental Care’s patient family. Her hobbies include kayaking, biking, and visiting different beaches. Melanie has worked a total of 12 years in dentistry, with experience in cosmetic, general, and periodontics. Her favorite part about working at Buckwalter Dental Care is being a part of improving a patient’s health, confidence, and self esteem. Melanie is from Gold Coast, Australia, and when she isn’t in the office, you can find her on the water paddle boarding and fishing. She loves spending time with her husband and eating good food. Ashley has worked in orthodontics for 5 years, and recently made the switch to general dentistry. As our Patient Care Coordinator, Ashley loves getting to know our patients throughout their treatment process. She especially loves when she gets to see a patient’s happy reaction and improved smile after extensive treatment. When she’s not at the office, Ashley enjoys traveling and spending time with her husband and family. Jamie is a Dental Hygienist with a full 27 years in dentistry. Her love of helping people improve their oral health is what motivates her to provide her best service each day. With her lengthy dental experience and encouraging patient-care, Jamie is always helping our patients achieve their best smiles yet. Outside of Buckwalter Dental Care, Jamie spends most of her time with her husband and daughter, traveling and exploring the outdoors. Are you a new patient? We have the resources you need! Our team loves adding new patients to our family dentist in the Bluffton community. We build customized patient plans for every age with a conservative approach to modern dentistry. We can't wait to meet you! 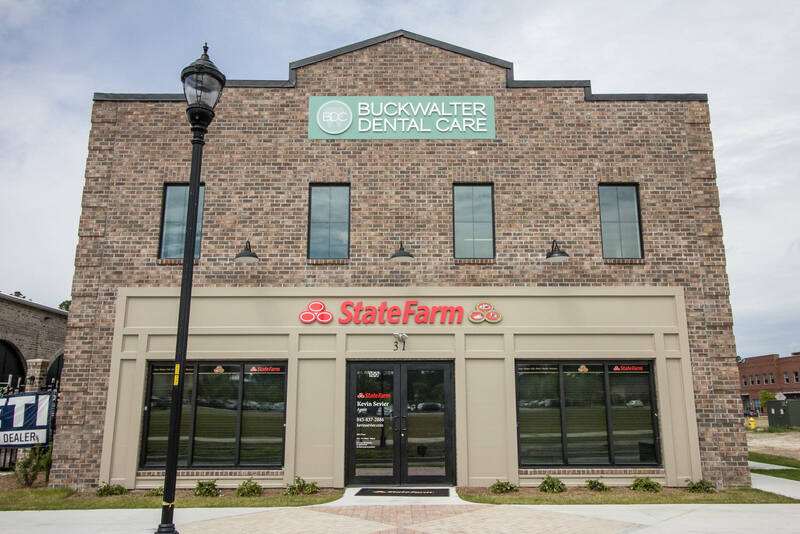 Buckwalter Dental Care’s Bluffton dentist and team are at the office 5 days a week, with emergency and same day appointments available. No matter your scheduling needs, give us a call for your customized experience! Dr. Joel Darrah and his exceptional staff create a friendly and professional environment at the Buckwalter Dental Care office. It’s our pleasure to help our patients feel safe, comfortable and cared for at the dentist. Upon your first visit to the Buckwalter Dental Care office you may not think you’re in the right place. It certainly doesn’t look like a typical dental practice. We’ve created a calm and welcoming place for our patients to relax and feel at ease. We’d like our patients to feel pampered, so that taking care of their smiles feels like a pleasure. The Buckwalter Dental Care office is a welcoming place. Our patient lounge is clean and simple, but we won’t keep you waiting long, anyway! We’ve specially designed our exam rooms to have all the creature comforts of home, including televisions on the ceilings to watch during your appointment. Only the newest and best equipment, tools and implements are used in the Buckwalter Dental Care office. You’ll relax in our luxurious leather patient chairs in the exam room. Dr. Joel Darrah works with his patient’s feelings in mind and each procedure reflects his commitment to comfort and is performed with the utmost professionalism, personal care and attention to detail.